A puzzle concerning “Mlle Thomasset”, which I shall discuss in a forthcoming post, has prompted me to look a bit more carefully into Liotard’s addresses during his two trips to London. There are no surviving leases, nor any entries with his name in the Westminster rate books, so the matter is not so simple as you might think. On the second trip, Liotard arrived not in 1773, as appears in all published sources to date, but a few months earlier. This is evident from the minutes of the Society of Arts in November 1772 when he was approached to provide an opinion on Mr Pache’s crayons. You may have seen photocopies of the first few pages which were displayed in the Royal Academy exhibition (but found too late to appear in the catalogue; the subsequent pages are also worth reading as they contain interesting information about mildew and oxidation of Stoupan’s pastels: see treatises for the full text, currently at p. 31 of the pdf). 6 February 1773 being a Saturday, the exhibition opened 1 February 1773. The advertisement (identically worded) was repeated in the Public Advertiser between 25 and 27 March, and again on Tuesday 30 March; the exact date of closure is unknown, but presumably very soon after. So how do we know even if he lived on the north or south side? This is where Mr Henry comes in. By a careful examination of the Westminster rate books (noting the complexities of the hierarchies of tenure etc.) we find him between two properties owned by Walter Farquhar – later to become physician to the Prince of Wales and a baronet – and also between properties taken on by the pastellist-turned-property developer calling himself Calze (Edward Francis Cunningham), unsuccessfully trying to evade his creditors. Mr Henry’s property, on the south side of the street, must have been at no. 50, directly opposite Ramillies Street. Subsequently the street numbers were changed, the buildings demolished, a church erected and it too demolished to make this properly confusing (I’m not sure if I can persuade English Heritage to erect a blue plaque, as one of the conditions is that “the building must survive in a form that the commemorated person would have recognised”: that knocks out Perronneau as well). Little is known about John Henry, but he evidently kept lodgers (another put a notice in the Daily Advertiser in 1772 using his address). Great Marlborough Street, as described by John Macky in his Journey thro’ England of 1722, “though not a Square, surpasses any thing that is called a street in the Magnificence of its Buildings and Gardens, and inhabited all by prime Quality.” No contemporary image is available, but it had obviously gone off a bit by Liotard’s day (it had further to fall before Dickens described it as “one of the squares that have been”). There were noble lords Onslow and Byron (William, the wicked 5th Baron notorious for murdering a neighbour), as well as Lord Charles Cavendish, uncle of the Countess of Bessborough. But neighbours also included Mrs Jane Godby, better known as Mrs Goadby, the brothel keeper whose most famous alumna was Mrs Armistead (aged 22 when Liotard arrived, she had already been painted by Reynolds). Among the Swiss community were Anthony Girardot, a relative of Mme de Vermenoux. And the Thomasset family – to whom I shall return in that separate post. Shortly. Something about both Liotard’s London visits has always struck me as odd. He seems to have had no contact with his two nephews (see the Liotard pedigree for the connection) who had settled there and become merchants. Both John and Mark Liotard were naturalized by Act of Parliament – the former, who was born in 1713, by 24 Geo. II, no. 7 , the latter, born 1717, by 20 Geo. II, no. 83 . Both were mentioned in the 1750 will of the legendary Anglo-Dutch merchant Gerard Van Neck, who was connected socially and commercially with the Walpoles, Thellussons and Neckers. They were involved in international trade, and their names appear in various partnerships. John’s fate is obscure (his partnership with Giles Godin, in New Broad Street, involving the importation of animal furs from North America, was dissolved in 1773, and he seems to have been made bankrupt in 1781, although this may be a confusion with John Jr, see below); by 1784 he was a tenant in Booth Court, Spitalfields (near Brick Lane, and a great descent from New Broad Street). Mark, who was financially successful, lived for a number of years near the French Church in St Martin Orgar (just off modern Cannon Street in the City). His partnership with Samuel Mestrezat (presumably from Geneva) and Peter Aubertin (from Neufchâtel) was known in particular for the sale of mousselines and indiennes, some imported from Lyon. The firm was London agent for Rey, Magneval & Cie. According to a recent publication, the portraitist Louis-Michel Van Loo, who also had connections with Lyon fabric manufacture, went straight to Liotard & Aubertin when he arrived in London in 1764. 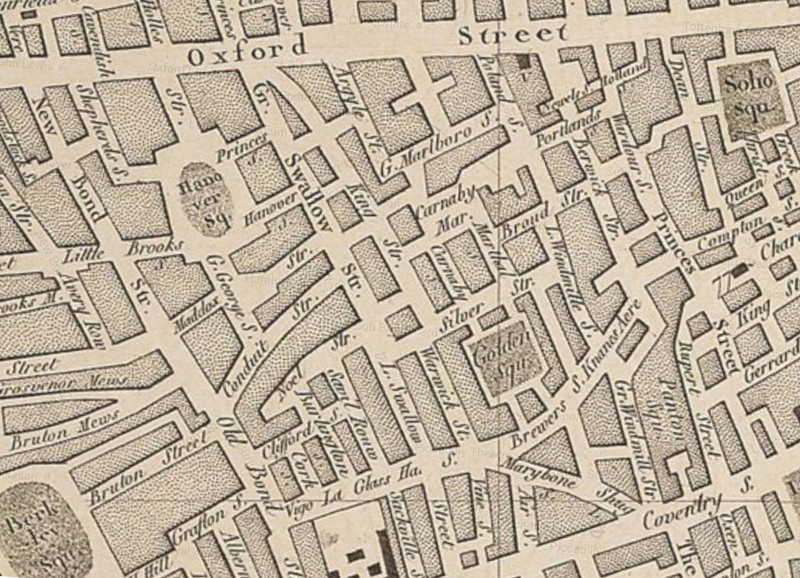 The partnership of Mark Liotard, Cazenove & Co was recorded still at 3 Martin’s Lane, Cannon Street as late as 1790, although Mark had returned to Geneva by 1768, where he married Marianne Sarasin-Rilliet (her father was the owner of the property La Servette which was then appended to Marc’s name); the pair were portrayed by Liotard in Geneva, so there cannot have been a family feud. His partner, James Cazenove (1744–1827), was from another Genevan family (although he was born in Naples); he was naturalized in 1778, and left a fortune of £50,000 when he died (but four years later the firm collapsed). Jean-Michel Liotard drew his sister, later Mme Fazy (R&L JML37), but this was in Geneva. Perhaps even in those days the social gap between struggling merchants in the City and artists and their wealthy clients in the West End was unbridgeable. John Mark Liotard, apparently John Jr’s son, was a lieutenant in the Marines from February 1797. This notice is a little ambiguous: was “Leotard’s” the Golden Head, or was that the house next door? Oddly, although there were numerous “Golden Heads” in London of the time, a number associated with artists (Liotard’s engraver MacArdell was at the Golden Head in Covent Garden; Thomas Major, who retailed his prints and may have done more, was at the Golden Head in Chandos Street; while Hogarth’s house in Leicester Fields was famously decorated with a gilt bust of Van Dyck), none seems to be known in Golden Square. The possibility cannot be excluded that Liotard’s house was actually in an adjacent street; it was not uncommon to give the more fashionable address for such properties, but one would expect a more helpful description in an advertisement. After Liotard’s departure to the Netherlands, Serre stayed on in London, and was married to a Judith Keheo (of whom I know nothing) on 9 August 1756. The house seems most likely to have been on the south side: although less fashionable, artists preferred the north light, and the other houses in the square seem to have had owners unlikely to sublet.”Two Yellow Lamps”seems not to have been a tradesman’s sign but rather a physical description of the property: from Sutton Nicholls’s engraving for Stowe’s Survey (1754 state), showing the houses on the west, north and east sides, these were all plain, with the exception of No. 23, the Bavarian envoy’s house (none seems to show a Golden Head). Of those on the south side, images of only no. 17 are known, from a later trade card, which purports to show the house in an earlier state (the British Museum and Phillips 1964 don’t agree about the date shown). It has two prominent lamps. Perhaps others on this side had them too, but the views of the other three sides suggests that lamps were the exception. No. 16, later occupied by Angelica Kauffman, was probably already tenanted at this period, while the other houses in this short stretch, nos. 13, 14, 15 and 18, all seem to have had owner-occupiers. I have been unable to confirm if No. 16 displayed a Golden Head, nor whether it would have been available in November 1753 for the crayon portrait exhibition. No. 17 was originally a single house, owned by Joseph Lycett from 1743, when he divided it into two properties, 17A (east) and 17B (west). They were recombined in 1776. 17B was occupied by John Gordon from 1744 until 1775. But 17A was occupied by Lycett or “unnamed tenants 1753–75” (according to Phillips 1964). This at the moment appears to be the best candidate for Liotard’s house. Joseph Lycett was an upholsterer but described as a gentleman in contemporary documents. We know that he was a determined landlord from an information he laid against one of his tenants in the Middlesex Sessions in March 1764. He left his “unworthy son Thomas” 52 guineas a year in his will proved 1775. R&L. Survey of London (but note that the sides of Golden Square are wrongly labelled, so north and south are transposed, very confusingly). Hugh Phillips’s Mid-Georgian London, 1964 is invaluable for Golden Square (but has very little on Great Marlborough Street). One must also consult the Westminster rate books. The British Museum’s collections database is a wonderful resource for topographical prints. The minute concerning Pache’s crayons was first identified by Sarah Lowengard in 2008 but its significance not noticed until the Liotard exhibition. For Van Loo, see Christine Rolland, ed., Autour des Van Loo: peinture, commerce des tissus et espionnage en Europe, 2012, p. 34; the author didn’t know if Mark Liotard was related to the pastellist. Any further information on any of this will be most gratefully received, particularly if anyone can identify adjacent Two Yellow Lamps and Golden Head in or immediately near Golden Square. You mention Calze (AKA Cunningham) probably in No. 50 Gt. Marlborough St. The London Survey appears to place him in 1774 at No.48, unless he moved from one to the other. The first house on this site was granted on reversionary lease in January 1710/11 to John Willson of St. James’s, esquire. (fn. 90) It was assigned in 1725 to George Middleton, (fn. 91) the goldsmith and partner in the banking firm which became Coutts. Also Schotts Music, still occupying a property opposite to Ramillies, is inferred to be one of the few still in its original form. Incidently Schotts was established in Mainz in 1773, during the period of Leotard’s London stay. I’m sorry if my mention of Calze was too cryptic. He did occupy two different houses: 48 and 52 (the latter is also mentioned in the Survey: but you also have to read the rate books), but was not at no. 50 at any stage. That’s why I say Mr Henry’s (no. 50) was “between” these, just as it was between the two different properties of Farquhar: it emerges from the order of the names at various dates in the rate books. Schott’s of course is no. 48. No. 50 is Mr Henry’s, and is not in its original state. Thank you for your clarification. A very interesting article (as always). Excellent research. Thank you for this very detailed and helpful post. May I ask what “R&L” refers to in your Sources and Notes? Most unlikely I should think: different country etc. Newhouse must be just the commonest name in all its variants! In 18th c. documentation on the adventurer, I have seen Casanova spelled Cazenove.